An older image, which I thought I would revive for this blog. The setting and two bots are by StoneMason, and exported from Daz software. The head is by Ten-Twenty Four studios. 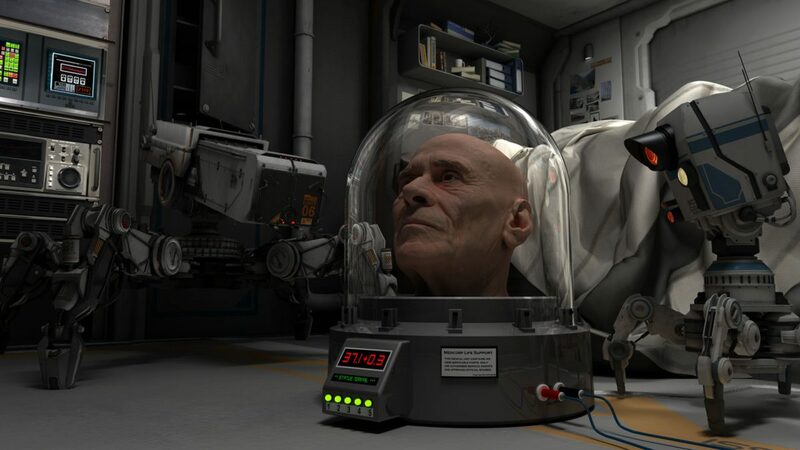 Head case by me, as was the scene, lighting, and so forth, which was done in Lightwave 3d. I often struggle with characters even in a basic way, and even more when I try and get some sense of story into an image. This is one of very few with a human figure I am happy with. Finding a relevant quotation from PKD really was the icing on the cake, as I am a huge admirer of his work.